It is kind of like a popcorn kernel. 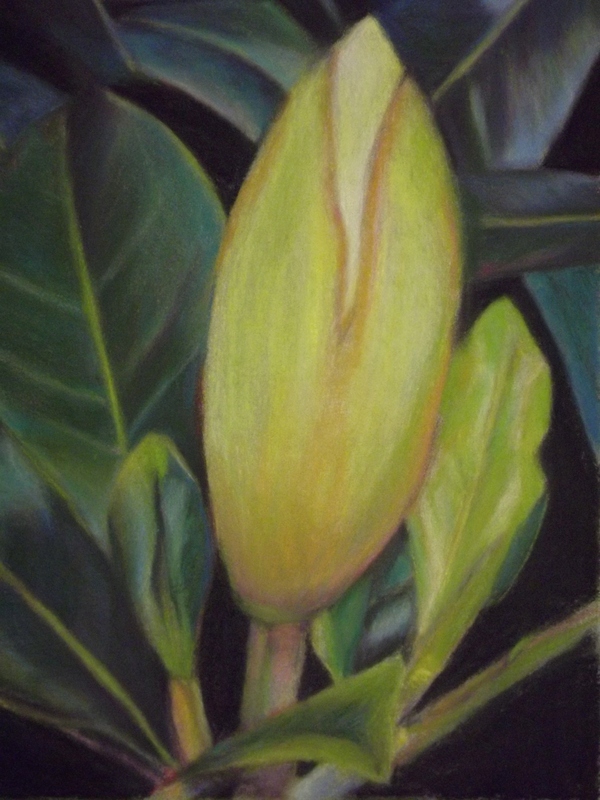 Though the white flower on a magnolia tree is in its completed glory, I kind of like the early stages. Anticipation.